Kick off the fall season at the 2012 Hinton’s Orchard Apple Festival on Saturday, September 8th. 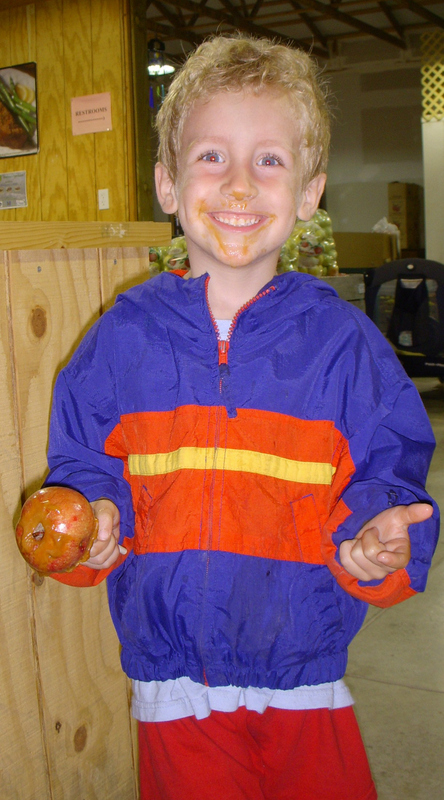 The day will include the opening of Hinton’s 2012 corn maze, hayrides, new additions to the Hinton’s FarmLand play area, and our 2nd annual Apple Olympics. As always, live music and great apple-y treats will be a part of the fun. Hinton’s Kitchen will have lots of goodies including caramel apples, apple dumplins, and apple BBQ sandwiches. Get stocked up on apple cider, juicy apples, and maybe, just maybe, you can find a pumpkin! The market will be open from 9 am – 6 pm with Apple Festival events running from 11:00 – 3:00.